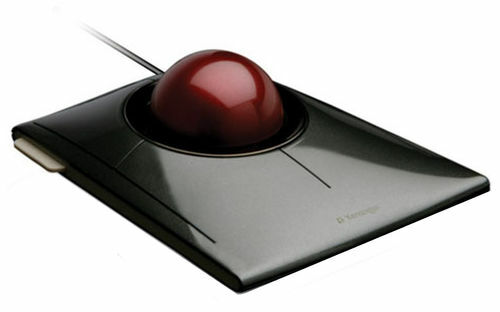 Comfort and productivity are at your fingertips with the Kensington SlimBlade™ Trackball. The slim, low-profile design provides all-day comfort while the advanced dual laser sensors and large ball deliver exceptional precision. Your computing experience gets smoother, faster and easier with the Kensington SlimBlade™ Trackball different user modes. Choose navigation mode to control cursor and scrolling by simply twisting the ball. Media mode controls volume, play/pause, stop, and track forward/backward. And it does it all with the ball to put complete control at your fingertips. For even greater productivity, the four adjustable buttons can be set to the function or keyboard shortcut you use most with Kensington TrackballWorks™ software.